In this blog, guest contributor Attorney Michael I. Santucci discusses the topic of trademarking band and artist stage names as part of your musical brand and offers advice to stay informed on a topic that baffles many. A musical artist’s stage name or band name is often the most valuable asset she/he/it has. They are protectable as trademarks and service marks [FN1] under common law in the United States and in other common law nations, and are eligible for state, federal and international trademark registrations to enhance and record that protection. How can an indie artist even have a less-than-pathetic chance of standing out when there are eleven (11) other musical artists worldwide using the same or similar band or stage name? How can the indie artist even be found online? In the traditional, “Big-Record-Co.” model, often the name and likeness of a performer is licensed or sometimes even assigned to a record company or a manager for purposes of exploiting sound recordings or other musical products and services. That license is sometimes exclusive to the company or manager for a limited term. The record companies and managers want to control the use of that name to best suit their interests and build certain image. The artist is sometimes restricted in the use of her/his/its own name during the term of the contract without the company’s or manager’s consent. However, the artist, in exchange, often received payment in some form, but sometimes even more significantly, the benefit of the record company’s and/or manager’s promotional efforts which build goodwill in that name. When the exclusivity period of the contract ends, the artist is left with a more valuable asset than when the artist started. Outside the Big-Record-Co. model, the unsigned or independent artist has even more reason to seek protection of her/his/its band/stage name because indie artists are not backed by Big-Record-Co. lawyers to stop infringers. The jungle of trademark and domain name registrations and acquisitions of social network screen names, which can be acquired by anyone in the world, leaves the indie artist feeling lost and vulnerable. If you think you can afford a qualified trademark attorney, read no further and contact one. If you can’t, then find someone with money who can. If you have no other option than doing it yourself, then read carefully. That is truly the last option because there are many ways to get yourself into trouble and waste money. 3. Provide a roadmap and strategy for the trademark application process by identifying possible marks which will be cited by the USPTO as bases for rejecting the application. Trademark searches can often be done at the state level by searching the Department of State or Secretary of State website for a particular state. For example, a trademark search can be done for Florida at http://www.sunbiz.org/. However, be sure you are searching for trademarks, not just corporations and fictitious names. There is a difference. Once the best search you can afford is done, then the decision should be made as to where and how many applications for trademark application should be filed. Decide whether you can afford to register just your name, but also any symbol or logo you use. Limited budgets require careful prioritizing because even do-it-yourself applications require government filing fees. Most people in the United States agree that the best bang for the buck is an application to the USPTO for a federal trademark registration to the Principal Register. Applications can be filed online at http://www.uspto.gov/. The filing fees are stated on the website. Once issued, the Certificate of U.S. Trademark Registration acts as prima facie evidence that the registration is valid (thus that the mark is protectable) and that the owner of the registration is the exclusive owner of the mark nationwide, even though the artist might have only performed or sold product in a few states. The registration often can be used (and is usually a prerequisite) to stop infringers through take-down notices sent to websites such as Amazon, YouTube and Facebook. The federal registration can then be used as a basis from which to file an international trademark application under the Madrid Protocol to obtain protection in a huge list of countries, often before the artist even uses the mark in those countries. It is also common knowledge that the European Union option under the Madrid Protocol is a great bang for the buck because the applicant can initiate applications in over 25 countries with one filing for a relatively small filing fee as compared to filing in individual countries. There are other international options also, and in some countries, an individual filing in that particular country is required. Local artists, might want to consider trademark registrations in one or more individual states sometimes in addition to, or instead of, a federal registration. Applications for state trademark registrations can often be filed online through a state’s Department of State of Secretary of State website. For example, an Application for Florida Trademark Registration can be filed at http://www.sunbiz.org/. 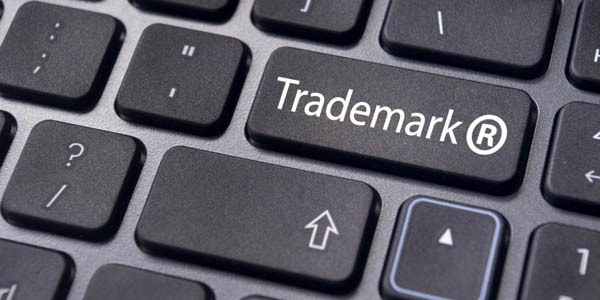 Be sure you are filing for a trademark registration, not forming a corporation or registering a fictitious name. There is a difference. For example, registering a fictitious name, although often cheaper, provides the registrant with absolutely no trademark rights. Q: Are registrations required for trademark protection? A: No, not in the United States. The United States is a common law jurisdiction so artists can acquire rights to a trademark by simply being the first to use the mark in actual commerce in connection with a specific class of goods or services. An artist without a registration can even file suit to stop an infringer, even if the infringer has a registration. Some countries are quite the opposite and are known as “first-to-file” jurisdictions. Trademark registrations provide their owners with a variety of remedies and advantages. For example, a federal trademark registration can be recorded with U.S. Customs to utilize its services to attempt to stop infringing, bootleg or pirated merchandise from entering into the United States. Often trademark registrations can provide a basis for an award of reimbursement for attorneys’ fees spent filing suit to stop an infringer. A registration can often be the key factor in resolving a dispute over a Facebook username. Note though that each social network company handles disputes differently. Registrations also provide a deterrent against potential new users who exercise the diligence of conducting a trademark search for registered marks. If you had the attention span to read this far, you are probably well informed enough to know that it is also essential to search for, register and otherwise acquire your band or stage name, or some usable variation of it with all major social network sites and, of course, as a domain name. That being said, there is no viable substitute to retaining a qualified attorney in the relevant jurisdiction to address the specific facts of your personal situation. Law is a living, breathing thing which is constantly changing and evolving. Laws are also different jurisdiction-to-jurisdiction, and a subtle fact or other nuance in your particular situation could be determinative in ascertaining the best course of action for you, at any particular time. This is more than just a disclaimer. I know it to be true from experience. Michael I. Santucci is an entertainment and intellectual property attorney in Fort Lauderdale, Florida with the law firm of Santucci Priore, P.L. focusing his practice on copyright, trademark, patent and entertainment litigation, protection and licensing. He is a songwriter, guitarist, vocalist and performer. He has represented clients such as Ultra Music Festival, Chubby Checker and the Bob Marley Movement of Jah People. FN1 – The term “trademark” refers to a mark used in connection with the sale of goods, whereas the term “service mark” refers to a mark used in connection with the sale of services. They are protected in virtually the same manner and are entitled to the same protection. The terms are often, and will therefore be used, for purposes of this article, interchangeably. This is one article that should be ‘required reading’ for ever artist, band or entertainer.